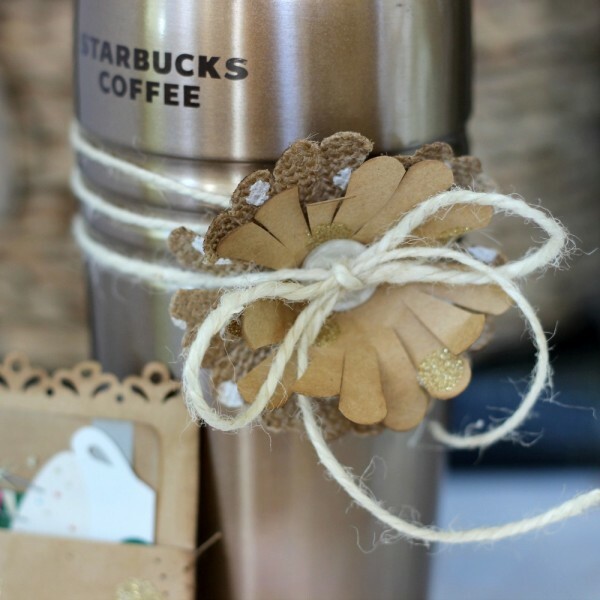 burlap flower Archives - Pebbles, Inc.
Holly here from Ribbons & Glue sharing with you how to make a Scallop Circle Flower using the Pebbles Home+Made Die and Kraft Paper. When I think of Sweater Weather, I think of hot drinks. 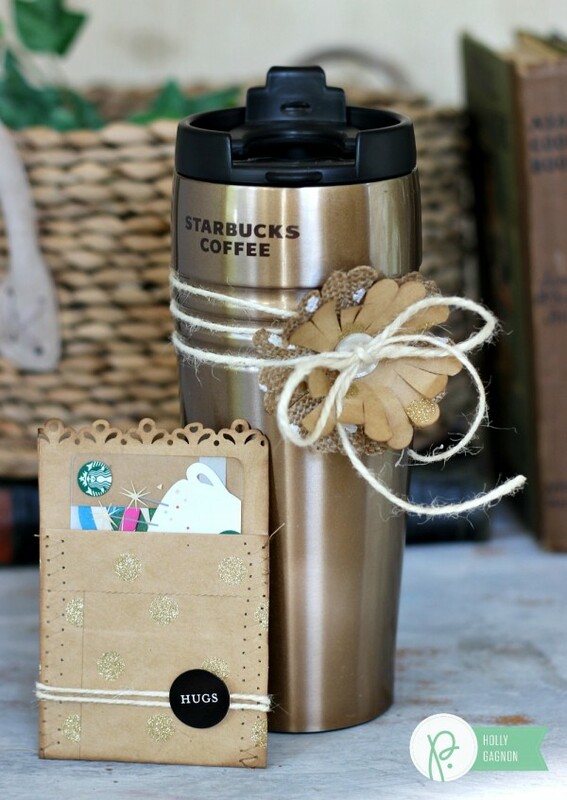 Hot drinks = Starbucks and if you’re a Starbucks fan, you know that #PSL has arrived! AKA: Pumpkin Spice Latte for all you non-Starbucks fans. Even if you’re not a #PSL fan, you really can’t go wrong with a Starbucks gift card and Tumbler wrapped up with string along with a Kraft Flower made from the Glitter and Burlap papers found in the Home+Made collection. Cut out a Scallop Circle die. Using scissors, cut each edge of scallop towards center. 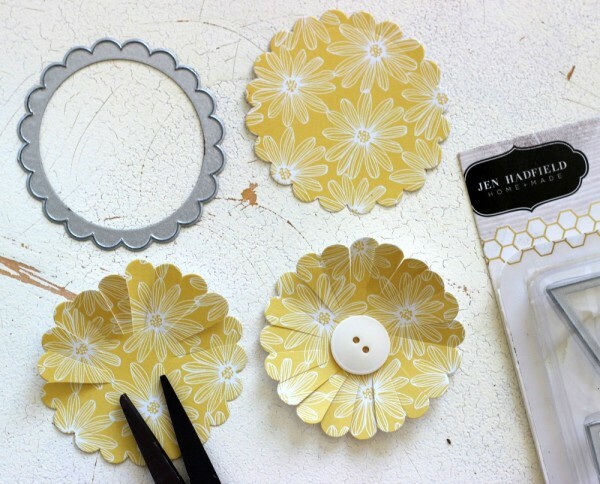 Curl and separate the edges to make into flower petals. 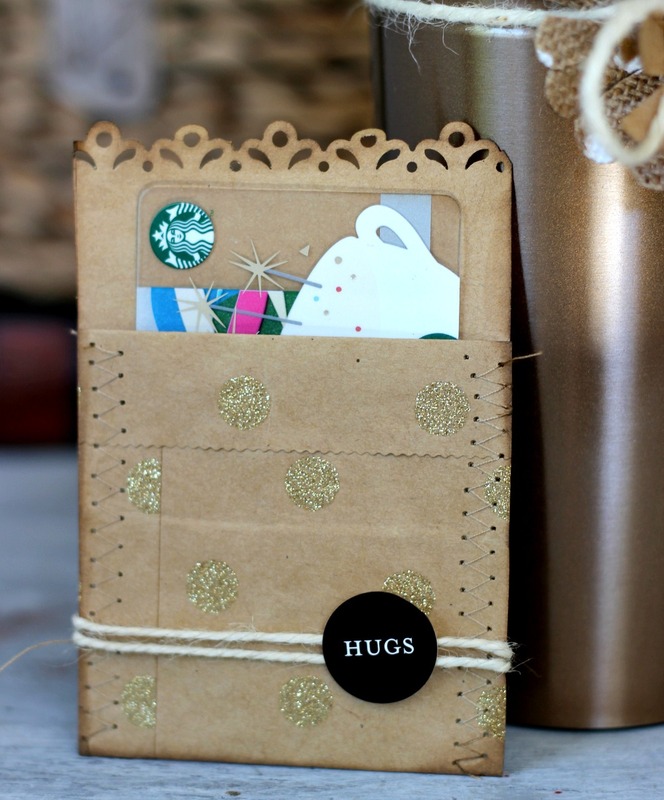 The gift card holder is made from machine stitching a zig-zag stitch up the sides of a Kraft Glitter bag that is also embellished with string and a Home+Made sticker.